Maltese islands are tiny for somebody used to take long journeys. But on the other side these attributes gives perfect opportunities for trips and visits of even remote parts of the island. If you already chose some nice place to go, you will need some transport. 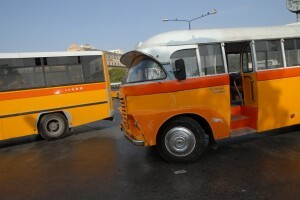 I am going to describe some ways of transport available on Malta I am convinced about they could be interesting for you. Most of you will arrive by plane. And that will most certainly be into Malta International Airport in Luqa. It is located just 10km away from Valletta. 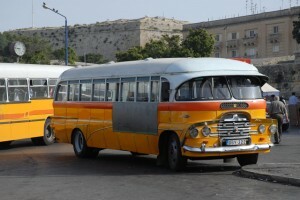 For further information please follow maltairport.com There are numerous coaches and minivans available for you on the airport. Their nice drivers will take you wherever you want to. The prices are not enormous because of taxi fixed tariff. You can use them anytime during your stay. Taxis can pick you up anywhere except bus stops. You can also use seaplane – there are regular flights from the Valletta Sea Passenger Terminal to Gozo’s Mgarr Harbour and vice versa. You can either rent a car or bring your own with you. Renting a car is a way to explore the island. If you do so, you should respect the speed limits (80km/h on open and 50km/h in towns) and you should not forget that on Malta driving is on the left. You can use the ferry service as a way of transport to Gozo or comino. There is established one regular ferry line to Gozo (30 minutes) and another to Comino. You can take many trips which bound to those ferries. Usually you will visit places like Blue Lagoon or Azure Window. You can combine all those ways of transport. If you want to explore the island cheap, just take some public transport bus, drive to desired town and then make your own program. It is pretty easy due to size of the island.